Change is in the air. Incorporate that change into your wardrobe wearing the Oscar de la Renta™ Poppies Flower Necklace. Gold-tone pewter brass metal necklace with poppy accents. 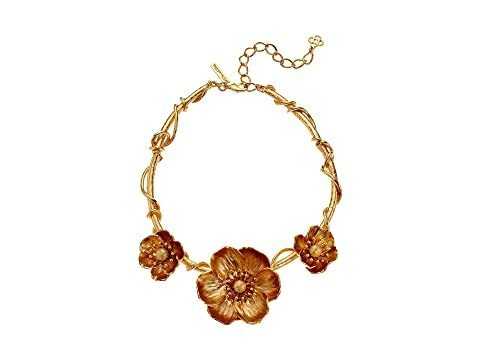 We can't currently find any similar items for the Poppies Flower Necklace by Oscar de la Renta. Sorry!